There were times in my past where I really needed a helping hand. After my divorce in 2000, I was so lost. Limp with pain and struggle. And really, really broke. You see, I was so afraid that I walked away from the marriage with very little. I just wanted to save my life. There were a few women who stood by me in that time. Who showed me the way to wholeness, to coming back to my power. Because of them, I’ve gone on to build a successful 6-figure business, have a happy and fulfilling second marriage and love my life. Lorretta, who revealed the angels and introduced me to my Highest Self. Who let me pay her over an extended time period for her deep healing work. Carol, who winked and gave me permission to Have Faith, even when I had none. Cecilia who taught me to walk in the spirit world and lowered her rates so I could train. I am forever grateful to these women. And to the teachers who came after. 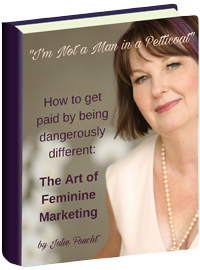 With them in mind, I’m moved to ‘pay it forward’ by offering three scholarships to the Art of Feminine Marketing Live. One in honor of each of these women. You want to attend my highly anticipated feminine business event? THIS could be your opening! If you are seriously interested, follow these instructions. Tell me a bit about who you are and why you want this. BE SPECIFIC! ONLY apply if you are serious. 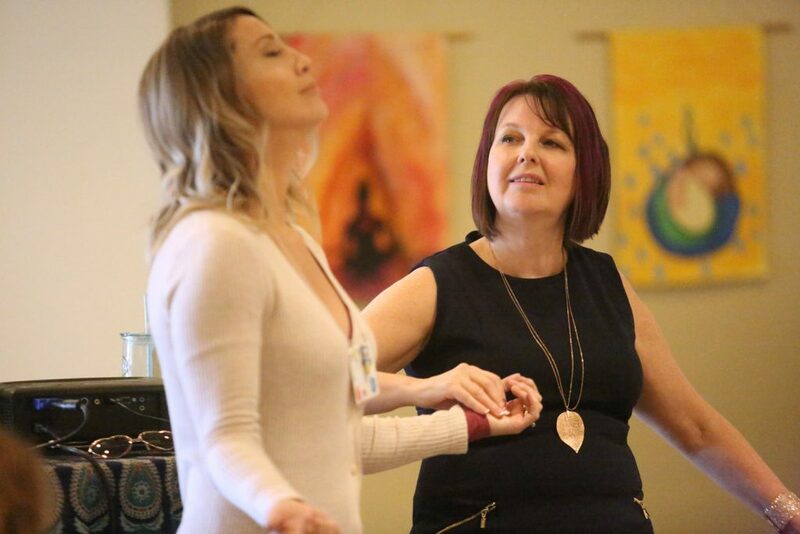 “My experience with working with Julie has been life-changing. It is hard work but the reward is priceless. For example – I shared my first Christmas with my family and three kids where I did not have one bout of anxiety. I’m working less and making more money. I’m accomplishing all my dreams and making new ones! If you had a chance to work with Julie I would highly encourage it. Not only did I succeed in finding my passion and purpose, Work and all my relationships are 100 times better! !